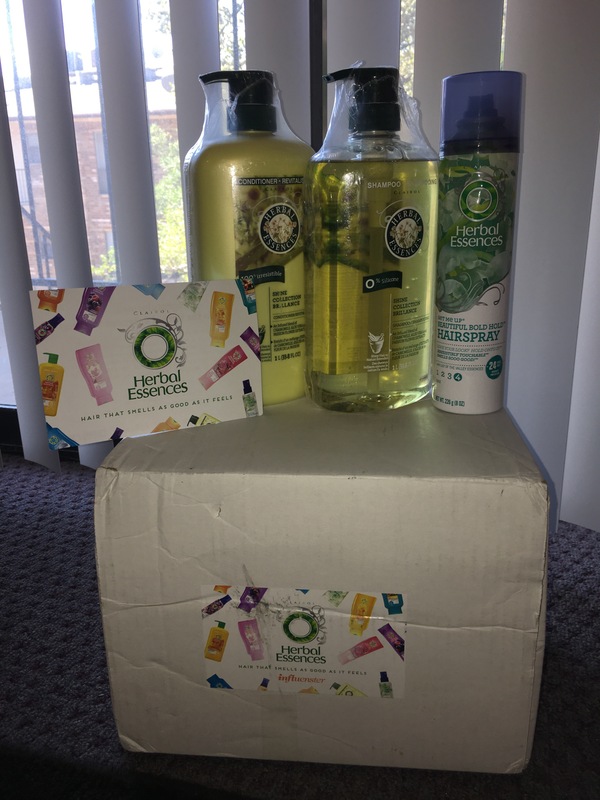 This is the Herbal Essences Voxbox I was selected to receive complimentary through Influenster. The box arrived looking pretty dingy and a little messy. I’m not sure why. It also wasn’t taped up much. 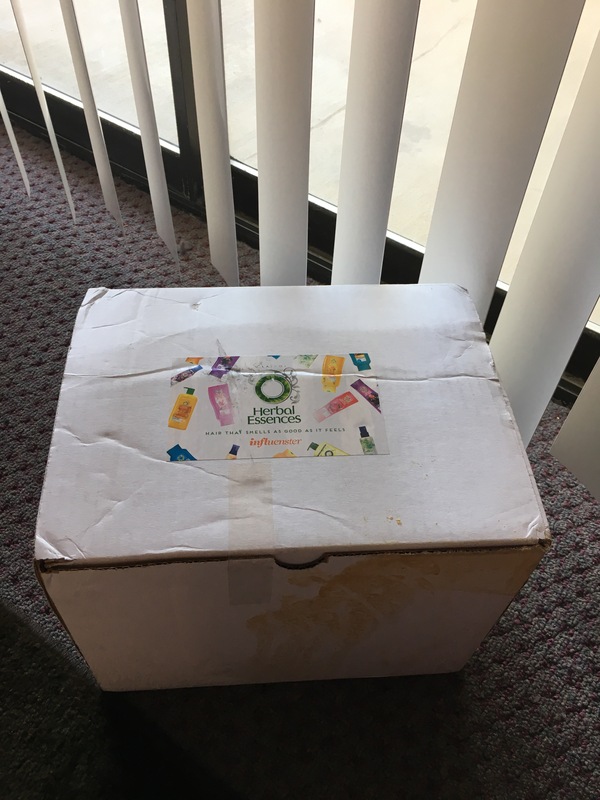 I’ve never received a box like this from Influenster before. I was very confused but the products were not damaged. I’m so glad they didn’t spill out of the containers because that would of been a real bummer. They arrived with a small postcard that lets you know a little more about the products and how to use them. Here is what they looked like wrapped up and out of the box! They sent me a shampoo, conditioner, and a hairspray from their shine collection line. All full size products. It’s supposed to promote a smooth healthy look as well as enhance shine. The shampoo and conditioner are both silicone free. The retail value of this box was about $24. I believe each item retails for $8 which is a good deal for the jumbo liter size container. They also have a pump!!! Which is probably my favorite way to dispense everything I shower with. The shampoo smells amazing and leaves my hair so clean. Lathering it on my hair is so relaxing! The fragrance fills your entire bathroom and automatically puts you in such a nice serene mood. My hair is super long (down to my waist almost) and a tad bit wavy. Its usually really oily at the roots and gets damaged fast. I have a hard time controlling my frizziness and also controlling my split ends. This shampoo has really helped me repair my hair. I can see the difference in my hair now that I’ve been using it for a little over 2 months. 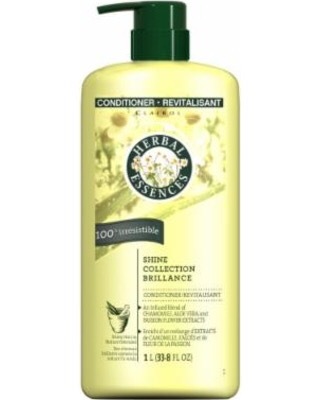 It’s the only shampoo I’ve been using lately because I don’t like to switch it up much or my hair will do crazy things! 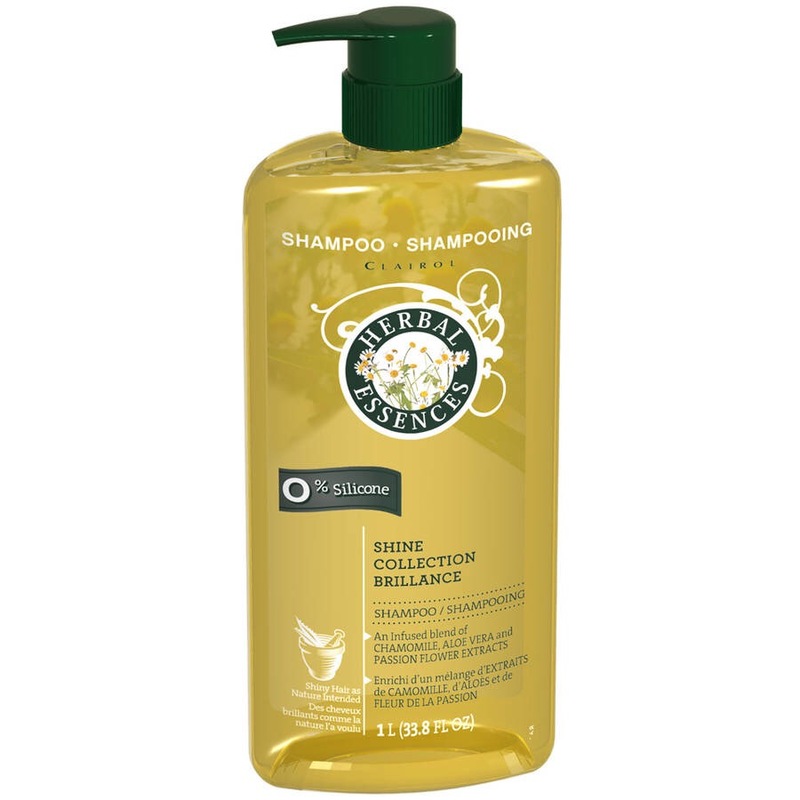 Even though it has helped repair my hair a bit…the ONLY downside to this shampoo is that it does make my hair extra oily at the roots. I find myself having to wash my hair frequently. More than I did before I was using it. The conditioner is soooo creamy! If you have normal to dry hair this duo would really work for you. 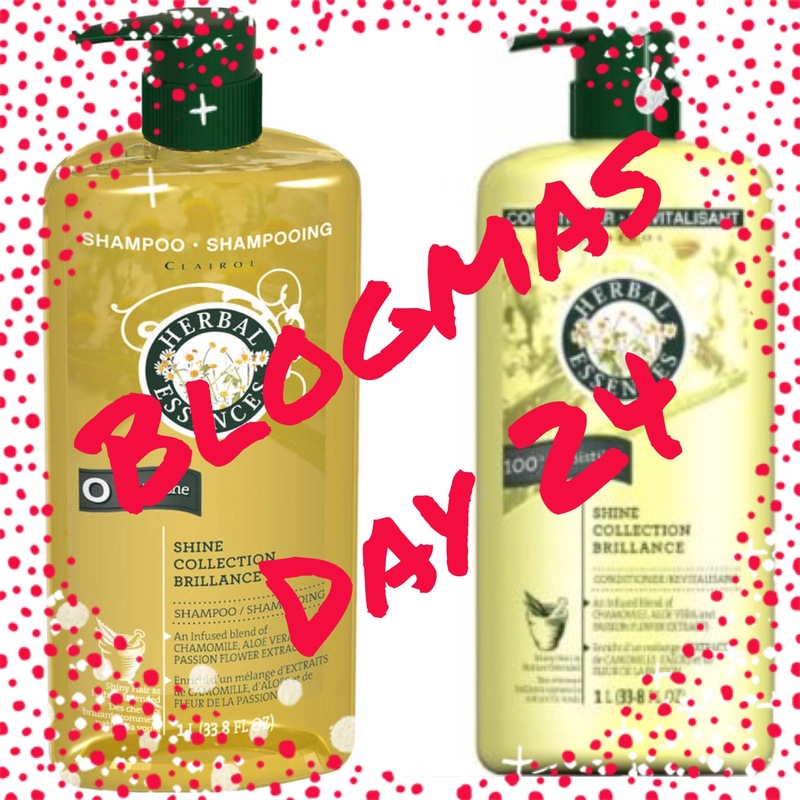 Even though I love it and the fragrance is delicious I think I will use this shampoo and conditioner maybe once or twice every two weeks from now because it does make my hair oily. The hairspray is amazing! I don’t use hairspray often. Mainly because I never need to really keep any of my hair in place. I usually wear my hair down and I like it flowy and wavy. Recently I’ve been changing it up. When I put my hair up in a nice bun I’ll hairspray the top down and it gives me a sleek high bun look. I will also use this product when I want my waves to hold a little longer. Especially in the Texas weather. I never know if my hair will actually hold during the day so I like to spray it a little to really save those curls from dying. The hairspray also smells amazing and doesn’t damage my hair. I was very pleased however with these products over all. It helped me realize that taking care of your hair is so important. I will definitely make it a goal of mine in 2017 to have healthy hair. I think this year has been such an exciting year for me! I’ve learned so much about myself and I’ve also grown to love myself even more! Setting this healthy hair goal is going to be great for me! Thank you so much for reading and I hope to see you back soon! Sounds like a great product! I just used your link to join influenster myself…I can’t wait to see what I get!